← Are the subsidies going to be honored? We’re in the business of saving lives. We do it everyday, sometimes it’s dramatically and sometimes it occurs over the course of time. Jane Klinksick, RN Cardiology Clinic, recently shared a story with me that is a testament to what we do. He proceeded to tell me that he did pulmonary rehab with us a while back and that triggered my mind because I immediately remembered him. The difference was, he was 105 pounds lighter! Here’s the cool part. He went on to say that he was doing rehab about a year ago. He was declining, requiring oxygen and could barely walk from his car into rehab. He told me that Krystal saved his life. He said she told him he would never get any better if he didn’t lose weight. He went on to say that Krystal was able to communicate with him in a manner that he was able to understand and take to heart and because of her, he states “I am alive”. He went on to explain that he joined weight watchers and is now a lifetime member. He also mentioned Courtney because she gave him a free coupon to use to go try it out and encouraged him, even though it would most likely be only women at the meeting. He went based on Courtney’s encouragement and is now a regular attendee. He is now oxygen free, looks and feels great, and is enjoying a much better quality of life. 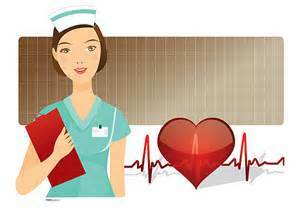 Now as a nurse, I have enjoyed many moments of “making a difference”. It is just so wonderful to hear of a fellow coworker and friend who truly said what needed to be said and then be recognized and appreciated for the huge impact on the life of another. I don’t think stories like this are always shared or acknowledged, but let me tell you I was proud! The girls in cardiac rehab are awesome. I have other similar stories of how they have went beyond and above for patients, this one just gave me goose-flesh!